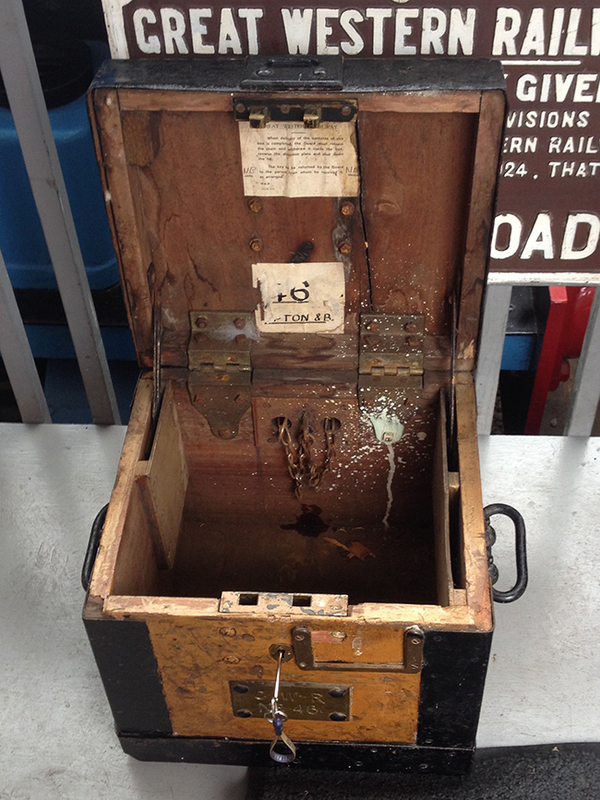 For years the SDRT Museum has had a GWR travelling safe in its collection. Thanks to Kelvin “Fingers” Ellis, with some assistance from SDR Engineering, the safe has been unlocked. It is NO 46, and its home base was originally Upton & Blewbury, first station south of Didcot on the Didcot, Newbury and Southampton line. It can still be chained up for security to e.g. the handbrake column in a guard’s compartment. When delivery of this box is completed, the Guard must release the chain and withdraw it inside the box, reverse the direction plate and shut down the lid. The key to be returned by the Guard to the person from whom he received it, as arranged.